A historic map seems like a pretty inadequate gesture in light of everything the residents of Aleppo are going through, but it is if nothing else another reminder of the history and lives that are being destroyed there. 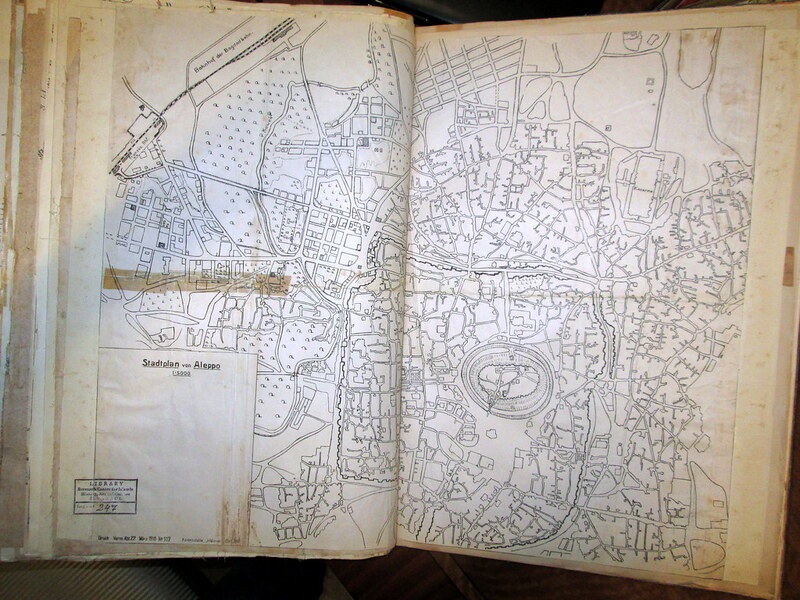 This German city plan comes from a collection of European-made Middle Eastern maps that appears to have been owned by an Ottoman/Turkish army officer and potentially used during world war one. Several similar atlases, including collections of French maps of the Gallipoli and Russian maps of the Caucasus can be found at the IRCICA library. 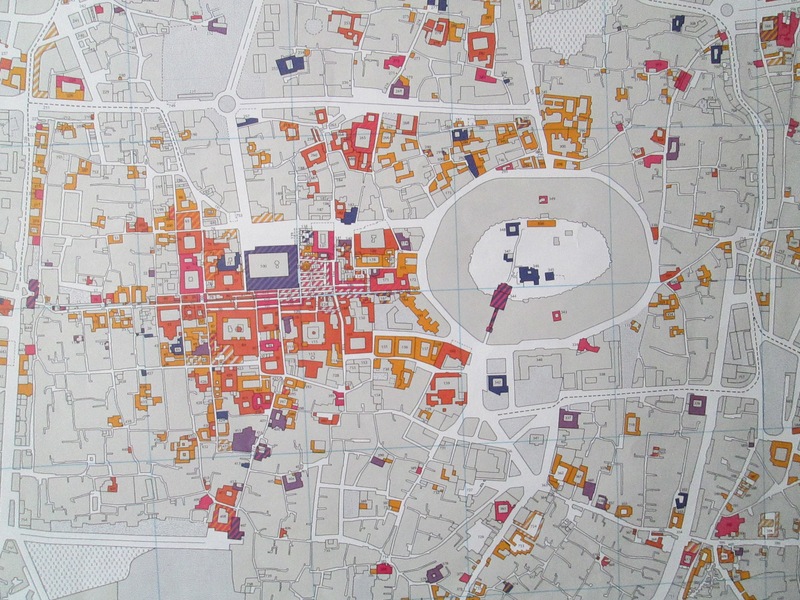 Below is a map from the Tuebingen Atlas of the Near & Middle East History, Geography & Cultural Anthropology showing the building-by-building history of Aleppo's old city, with the key underneath it. Wikipedia also has a remarkably detailed map of the city from 1958 here, this time made byt he US army corps of engineers.